Pastels for spring is nothing new. These colors have always been synonymous with spring and the start of sunny and warm days. This year, however, I've seen more pastel items than usual. It's everywhere! I'm not complaining though, I'm a huge fan. 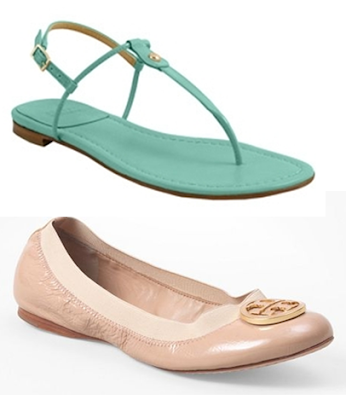 What do you think about this trend for spring and summer? 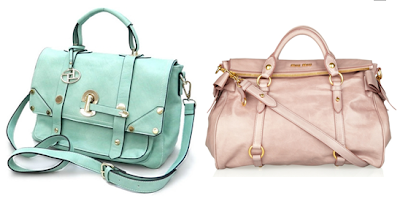 Will you be picking up some pretty pastels? Hope you can visit my blog back! I'd like a couple of pairs of pastel skinny jeans. I'm not really a pastel fan. Love the orange jeans though! They are awesome, aren't they? I love the pretty colors! I'm usually not the biggest fan of pastels (maybe because they don't look super on me), but these are so pretty! 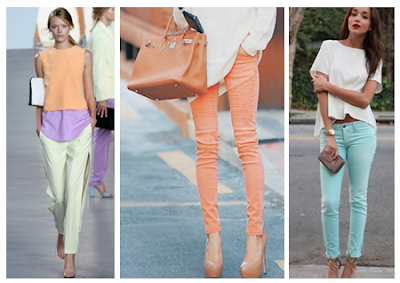 Would love to try some of the pastel pants or denim!